The 3-Series Sedan was completely redesigned in 2011 for the Model Year 12. BMW has switched from "e" to "f" chassis designations, with this 6th generation 3 branded as the "F30". This generation debuts the four cylinder turbo N20 engine, becoming well renowned for its power and fuel efficiency. There was also a significant upgrade in the optional equipment offerings, which nearly makes everything available on the 3-Series as is offered in the F10 5-Series market. The F30 328d diesel sedan boasts some incredible feats. An EPA rating of 45 miles per gallon gives a maximum range over 650 miles from a single 15 gallon tank of fuel and 280 ft-lbs of torque for performance. 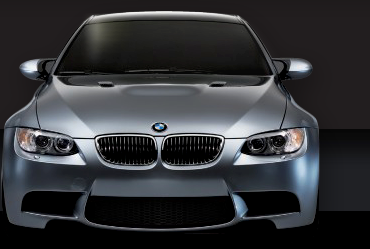 It's superb driving characteristics give this sedan a true sports car personality. This 328d xDrive is very well equipped and still covered under the BMW Factory warranty until November 2019 or 50k miles. Surround View Cameras, Keyless Go, Heated Steering Wheel, Heated Front/Rear Seats, Navigation, Bluetooth, Back Up Camera, Front/Rear Parking Sensors, LED Lights and Satellite Radio. The service is current and the tires are in good shape. It is in excellent condition inside and out with the paint, body and interior show no signs of wear and tear. Clean Carfax, Surround View, Keyless Go, Front View, All Wheel Drive, LED Headlights, LED Fog Lights, Heated Seats, Heated Steering Wheel, Back Up Camera, Park Distance Control, Comfort Access, Bluetooth, Navigation, Heated Rear Seats, Light Package, Park Distance Control, Homelink, 18 Inch Wheels, Sport Line, Lumbar, Moonroof, Satellite Radio, Ash Wood Trim, Sport Steering Wheel, Rain Sensors, Sport Transmission, Alarm, Dual Power Seats, TPM, On Board Computer, Service Interval Indicator, HIFI Sound, Rear Fold Down Seats, Black Headliner, Connected Drive, HIFI Sound, Dual Auto Climate Control, Diesel, Sport Seats, xDrive, Power Folding Mirrors, Multi Function Steering Wheel, Non Smoker, Clean Title, Clean Carfax Report, 2 Master keys.